Inside: Anxiety can disrupt our lives and wreak havoc. 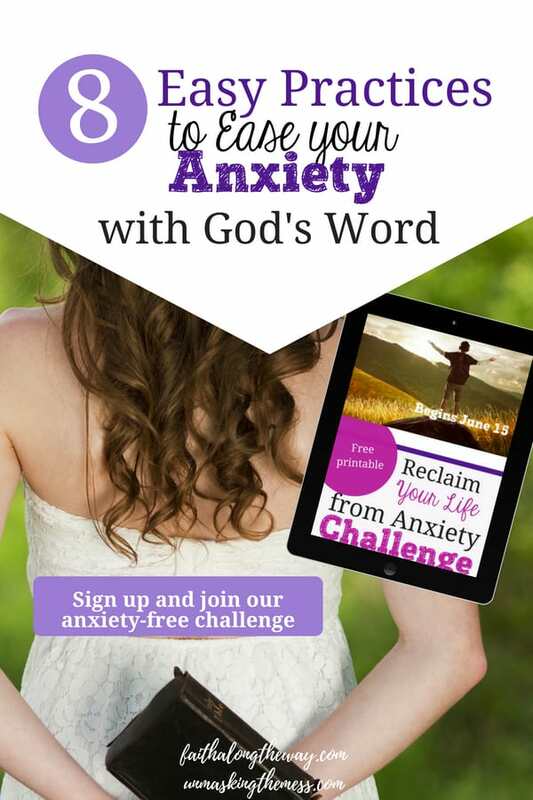 We find peace by using God’s Word for anxiety relief. God can help us with our anxiety. Many of us struggle with anxiety. There’s a lot in this world that causes us to stress and to become tense. I’m sharing this post over at Sarah’s Faith Along the Way and I hope you go check out her site. 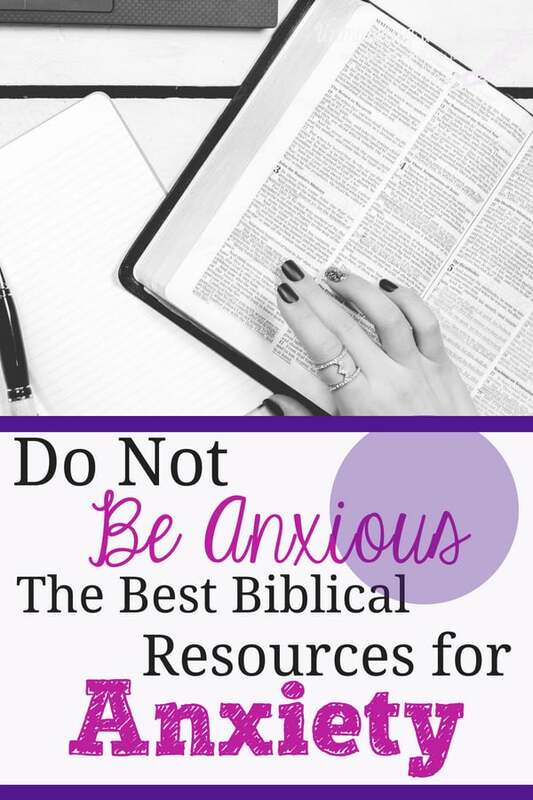 We can learn to use God’s Word for anxiety relief and I show you how here in this post! Anxiety stinks! It’s a hard emotion because once it has a grasp of us, it doesn’t seem to want to let go. Wondering how you will find anxiety relief? Your story might go like this: Something challenging happened in your life, and anxiety invited its way in. The trigger point for the anxiety has been resolved, but your tension remains. Or your story might be like mine. A lot of stress over the years brought it on. I was fine one day, had a panic attack, and then was ensnarled with this villain for years. When we imagine our lives or even imagine the short-term future, it wasn’t with anxiety. We never thought we’d be afraid to drive, to leave the house, to go to church or any other large public gathering. But, here we are. Stuck and wondering what we should do. Somedays might be better at the level of the tension, but somehow it always hangs around. We have spouses, kids, jobs, and friends, and having this unwanted emotion makes all of these facets of life so much harder. The reason is: our focus is self-directed. It’s not like we enjoy all of this self-focus, it’s just what anxiety does to us. We try and redirect our attention to something else, but we keep getting reeled back in. Anxiety at its core is fear. What we fear can be different, but many of us who have experiences anxiety have a great, big fear about losing control. When we experience the bodily symptoms of pounding heart or irrational thoughts, we feel like we won’t ever become victorious over this stronghold of anxiety. We become fearful, which only increases our anxiety. This cycle takes over our lives. We are blessed to be able to learn how to use God’s Word for anxiety relief. This was such a great post and it definitely hit home for me. I can pinpoint when my anxiety started exactly. I went through such a long period of stress every single day that when it ended, my body didn’t know how to “be” without it. It was as though my body was looking for something to stress about because it had gotten so used to it. I still haven’t been able to get rid of it completely. Thank you for this post!! What a great point, that anxiety is self focused! Thanks Julie! Bethany- yes, it is! I wish it wasn’t but to get relief we need to focus on God!